The national championship of college basketball is here. After an exciting March of dramatic finishes that separated the pretenders from the contenders, the cream of the crop surfaced at The Final Four in Indianapolis, IN this past weekend. Three of the four number one seeds reached the Final Four with Duke, Kentucky, and Wisconsin all winning their regions to advance to college basketball’s biggest stage. Meanwhile, Michigan State was no slouch as a seventh seed. The Spartans reached The Final Four for a nation-leading seventh time since 1999, all under one of the elite coaches in the country in Tom Izzo. Bo Ryan has taken the Badgers to new heights with back-to-back trips to The Final Four. before losing to Notre Dame who went on to win the tournament title. Wisconsin’s victory on Saturday avenged their loss to the Wildcats a year ago in the national semifinals, a 74-73 thriller that was decided on a 3-point basket by then-freshman guard Aaron Harrison. With the Badgers returning to The Final Four this year, Wisconsin has become a national program. 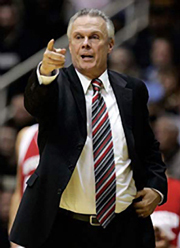 Badgers’ head coach Bo Ryan has emerged as a great coach and has brought national prominence to the Wisconsin program in this his 14th year at the helm of the Badgers. This followed his highly successful career in the Division III ranks as head coach at The University of Wisconsin-Platteville where he won four national championships in the 1990’s. Ryan will be matched up against Duke coach Mike Krzyzewski who is no stranger to the national championship game. 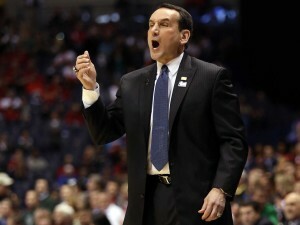 This is the ninth national championship game that Krzyzewski has lead the Blue Devils to. He is 4-4 in the title game. The two schools met earlier this season back on Dec. 3 in Wisconsin where Duke prevailed 80-70 in the ACC/Big Ten Challenge. Blue Devil freshman center Jahlil Okafor had 13 points and six rebounds while senior center Frank Kaminsky scored 17 points and grabbed nine rebounds for the Badgers. Wisconsin center Frank Kaminsky was named the Associated Press Player-of-the-Year. Both teams are mirror images of each other. Okafor and Kaminsky are both dominant low post players and are surrounded by effective and consistent perimeter scorers who can shoot and penetrate to the basket. Each team plays good defense as well with Wisconsin holding a slight edge here based on the size of their front line with all three players going 6-foot-8 or higher. Okafor is 6-foot-11 and at 270 pounds has the size and strength to defend the 7-foot Kaminsky, who is this year’s Associated Press Player-of-the-Year. 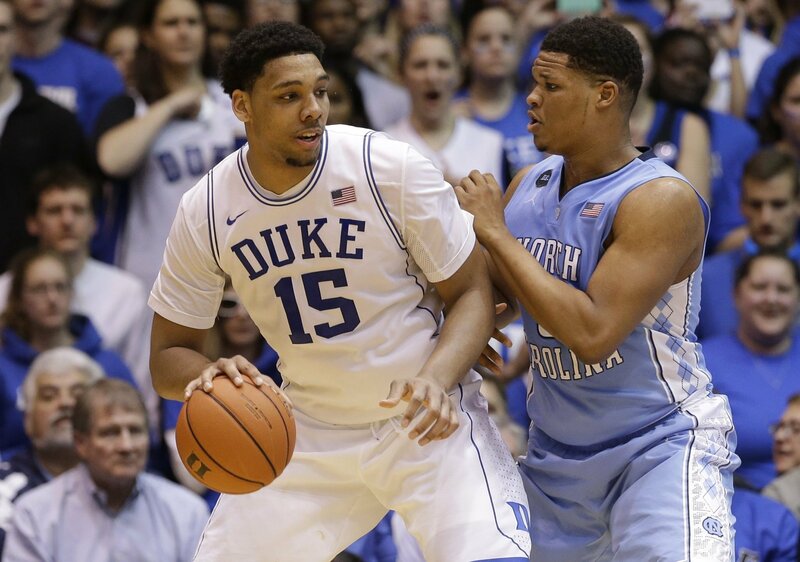 Okafor was named the ACC Player-of-the-Year this season, the first freshman to ever earn that award. Okafor averages 17.5 points, 8.6 rebounds, and 1.5 blocks per game. These teams are equally as effective on the perimeter and they both never seem to panic when they hit a drought or the momentum tips in favor of their opponent. Senior guard Quinn Cook is Duke’s leader and always seems to steady the ship with his wise and timely decision making. Cook teams with freshman guard Tyus Jones to form an effective backcourt. Both Cook and Jones have three-point range on their shots and are exceptional from the free throw line where Cook shoots 89.1 percent and Jones converts at an 88.4 percent clip. Cook scores 15.6 points and 2.7 assists per game while Jones averages 11.5 points and a team best 5.7 assists per-game. The Blue Devils further benefit from freshman forward Justise Winslow who at 6-foot-6 and 225 pounds is a versatile player. Winslow averages 12.7 points, 6.4 rebounds, and 2.1 assists per game. Kaminsky is the focal point of the Badgers’ offense and leads the team with 18.7 points, 8.1 rebounds, and 1.5 blocks per game. While he has excellent footwork and a deadly drop step move in the post and lane, he can also score from the perimeter to include the 3-point line. Kaminsky was 1-for-3 from the 3-point line against Kentucky and shot 41.2 percent (40-for-97) from behind the arc this season. Sophomore forward Nigel Hayes stands 6-foot-8 and averages 12.4 points and 6.3 rebounds per game. Like Kaminsky, Hayes can also take his game outside. Hayes shot 2-for-5 from the 3-point line in the semifinal win over Kentucky and has shot 38.1 percent (37-for-97) from behind the arc this season. However Wisconsin’s offensive attack doesn’t stop there. Sam Dekker, a 6-foot-9 junior forward, is an aggressive player who can hit the three-point shot or put the ball on the floor and get to the basket. The Badgers’ backcourt is also productive with a pair of 6-4 guards in redshirt senior Josh Gasser and sophomore Bronson Koenig. Both hit one 3-pointer in the win over Kentucky to help keep the Wildcats scrambling defensively and Koenig finished with 12 points. The key to this game will be who asserts themselves on the inside and how well the other team takes advantage of the other team’s miscues. Okafor has been unstoppable at times this season with his low post game and Kaminsky is equally as effective with his height, drop steps, and overall presence. Wisconsin likes to control tempo and keep the ball moving in their half court sets while Duke looks to push the ball more to create transition opportunities. While the Blue Devils can also operate well in the half court, they will have to be efficient as the Badgers do a good job of limiting their opponents to one shot with their size on the defensive boards. Defensively, Duke has been inconsistent this season. Wisconsin’s one area for concern is offensive droughts which they will have to avoid, especially if the game is close throughout. 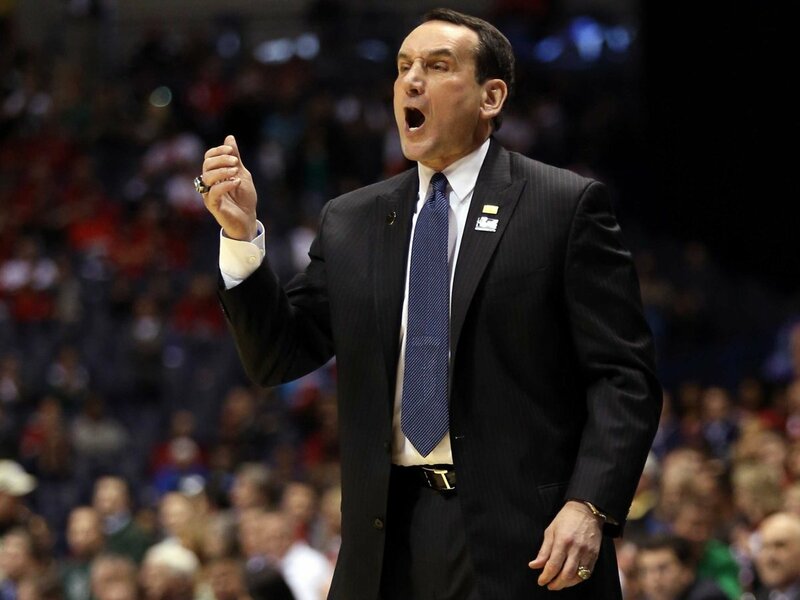 Mike Krzyzewski is coaching in his ninth NCAA Championship game, all with Duke. Kryzewski has been here before while Ryan is making his first Division I championship game appearance. While Ryan and Wisconsin are capable of winning the game, it will take a focused and sustained effort to do so. Any team that ends another’s pursuit of an undefeated national championship has certainly exerted itself. 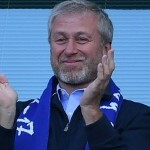 Furthermore, when that school is the same one with a lot of the same players that you had lost to in the same round the previous season, you have really achieved a high note. Coming back down from that emotional high is important and the Badgers will have to do so in order to be totally focused on the Blue Devils. This one should be close and competitive throughout with the winner likely decided in the closing minutes. Like so many other title games that Duke has played in, this one should be a good one.